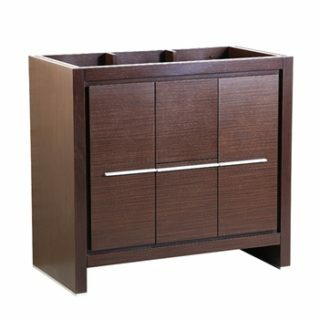 This contemporary single bathroom cabinet is a unique combination of casual and elegant. Designed to complement any décor scheme, the Fresca Allier Modern Bathroom Cabinet features two soft closing doors and handy drawers in the middle to hold your bathroom essentials. 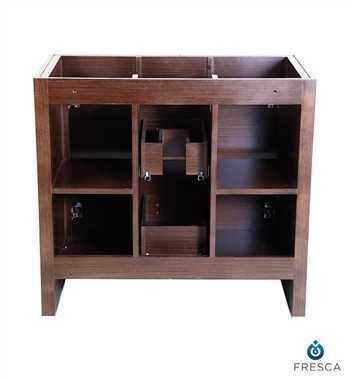 With clean lines and trendy brushed pulls, this square cabinet has a lovely Wenge Brown finish that adds warmth and elegance to any space. Measuring 36” in width, this cabinet is the perfect fit for today’s modern bathroom and is available in widths ranging from 16” to 72” to accommodate various needs. 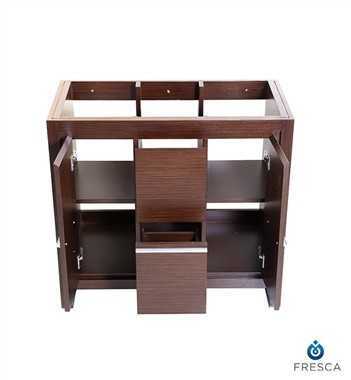 Fresca Allier Modern Bathroom Cabinets are offered in the following finishes: Gray Oak, Wenge Brown and White.